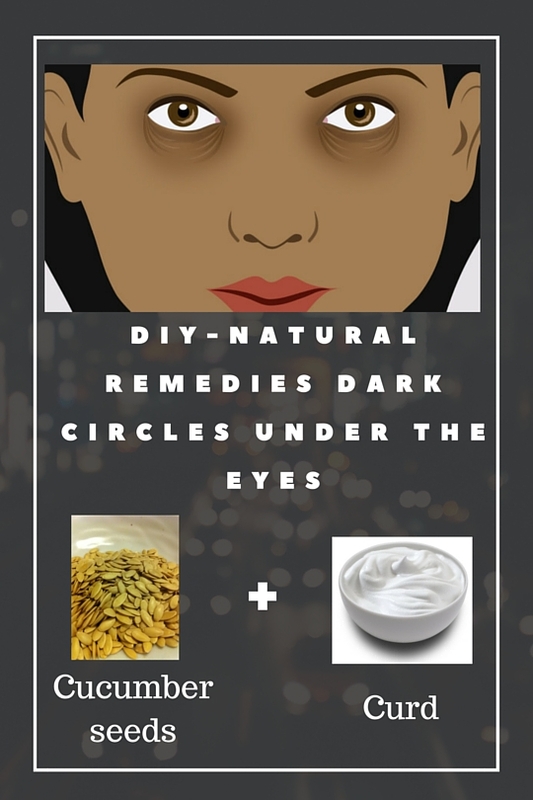 Dark circles under the eyes, sometimes called shadows or dark rings under the eyes, are the appearance of dark skin between the lower eyelid and the top of the cheek. Dark circles under the eyes can occur in infants, children, adolescents and adults, and to men and women alike. Dark circles under the eyes and other types of discoloration are often caused by relatively minor conditions, such as fatigue and minor allergies, but may also result from more serious conditions, such as an invasive eye infection. Drink at least ten glasses of water everyday. Take all precautions to avoid strain on the eyes. Eight hours of sleep is a must for all of us, specially for people having dark circles under their eyes. Take some cucumber seeds powder, mix with curd. Then apply on your dark circles.